DEAD SILENCE is set in Ravens Fair, a small town haunted by late night whispers and ghost stories of generations past. But when a grieving widower returns here for his wife's funeral, he begins to uncover the truth behind her mysterious death and how it may relate to Ravens Fair's own history--a history that includes a psychotic ventriloquist-ghost and her lifelike "dummy". 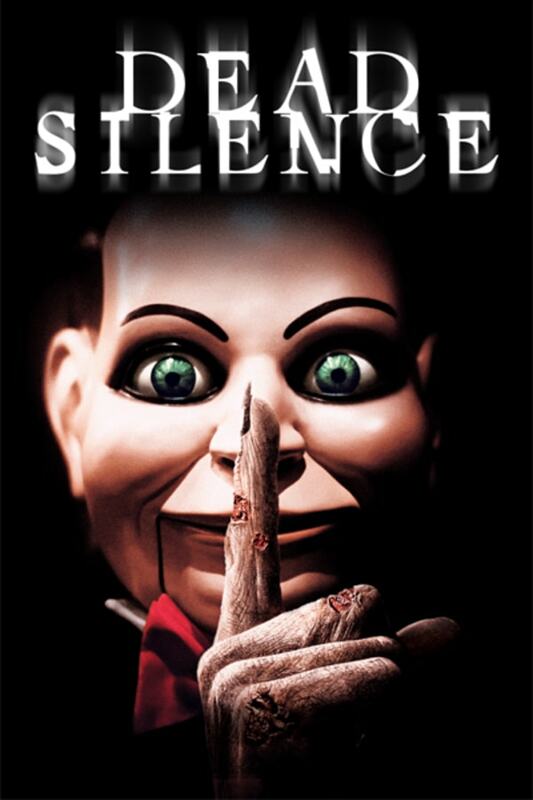 From INSIDIOUS masterminds James Wan and Leigh Whannell, DEAD SILENCE is an underrated, gothic creeper. A ventriloquist's ghost and her lifelife dummies terrorize a small town. objectively terrible, but sometimes that's what you're looking for, you know? i liked the twist, at least. It is somewhat dated, but still a classic. Fantastic film with a few minor issues. It told a well-paced story with a nice finale. There were jump scares and creepy ideas littered throughout the 1 1/2 hour film. I enjoyed the ride and would recommend the film to my friends. A good solid attempt from the creators of Saw to form a new horror mythos, too bad it didn't take off as well as Saw. What works is the atmopshere and the legend of the ghost character but the shoddy plot and lacvk of chemistry with most of the cast helps create too much of an eye-sore to ignore.